From its beginnings in the lone American colony founded by Catholics, the Premier See of Baltimore and its illustrious occupants have stood as a preeminent icon of religious freedom in these States. And now, the golden thread of that 223-year line is set to continue with particular vigor in the choice of its 16th Archbishop. As soon as tomorrow, sources tell Whispers that Pope Benedict will name Bishop William Lori, 60 -- leader of Connecticut's Bridgeport diocese since 2001 -- as the next head of the nation's oldest local church, first shepherded for 18 years by John Carroll, a cousin of the lone Catholic signer of the Declaration of Independence, and founder of the nation's first Catholic university at Georgetown shortly after his appointment in 1789. In the post whose holder remains, by Roman decree, the "first among equals" of the American bishops, the Indiana native would succeed Cardinal Edwin O'Brien, who the pontiff named as Grand Master of the Equestrian Order of the Holy Sepulchre last August. O'Brien remains Apostolic Administrator of the 550,000-member archdiocese until his successor's installation, and the new cardinal will maintain his American base there afterward as the city's archbishop-emeritus. Cited as a top prospect for several prior metropolitan openings, especially heavy speculation began to tip Lori for the Baltimore nod within weeks of O'Brien's appointment to the Rome-based post overseeing the thousand year-old body responsible for supporting the church's works in the Holy Land. 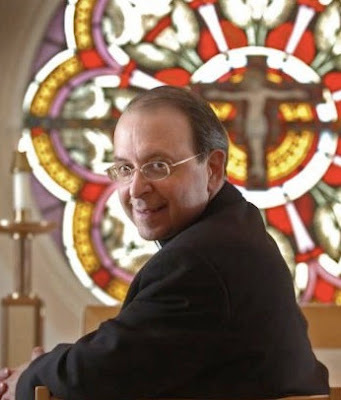 Ordained a priest for the archdiocese of Washington in 1977 and an auxiliary there in 1995, the theologian-prelate is an alumnus of Mount St Mary's in Emmitsburg, one of two diocesan seminaries in the Baltimore church -- a unique attribute among the nation's 197 dioceses. The chief protege of the capital's late Cardinal James Hickey (who ordained him a bishop at 43), Lori has come into an even brighter spotlight over recent months as the appointed head of the bishops' newly-created ad hoc Committee on Religious Liberty, and thus the quarterback of the church's recent surge against the contraceptive mandate of the Federal health-care reform law. While the skirmishes have included Lori's penning a widely-circulated swipe at America magazine following an editorial in the Jesuit journal lamenting the bishops' strategy on the issue, in his most recent comments on the hierarchy's tense face-off with the White House, Lori said he found a meeting last week with Obama administration officials "distressing" given a stance that, he said, made the policy appear "non-negotiable" and "here to stay." The tenor of the sit-down "does not bode well for future discussions," the bishop told Catholic News Service. As a binding referendum on the issue is expected to be held in November -- prior to the move's entering into force next year -- any new archbishop will arrive to find his tenure's first major battle already lined up. In addition to the key conference slot, Lori has served as Supreme Chaplain of the Knights of Columbus since 2005. He was likewise chair of the Board of Trustees of his alma mater, the Catholic University of America, from 2003 to 2009. Lastly, for a diocese that revels in its proud history, there is a precedent to the reported move -- in 1961, the founding prelate of the Bridgeport church, Baltimore native Lawrence Shehan, returned home to become the 12th Archbishop. A leading ally of Pope Paul VI in advocating the agenda of Vatican II, Shehan was elevated to the College of Cardinals in 1965, the first American given the red hat by Papa Montini. To date, two of Lori's three predecessors in the wealthy diocese covering Connecticut's Fairfield County were promoted to major archdioceses: besides Shehan, Lori himself was named to Bridgeport following the 2000 transfer of then-Bishop Edward Egan to New York. "Patrick, Make Us Worthy of This Cathedral...."